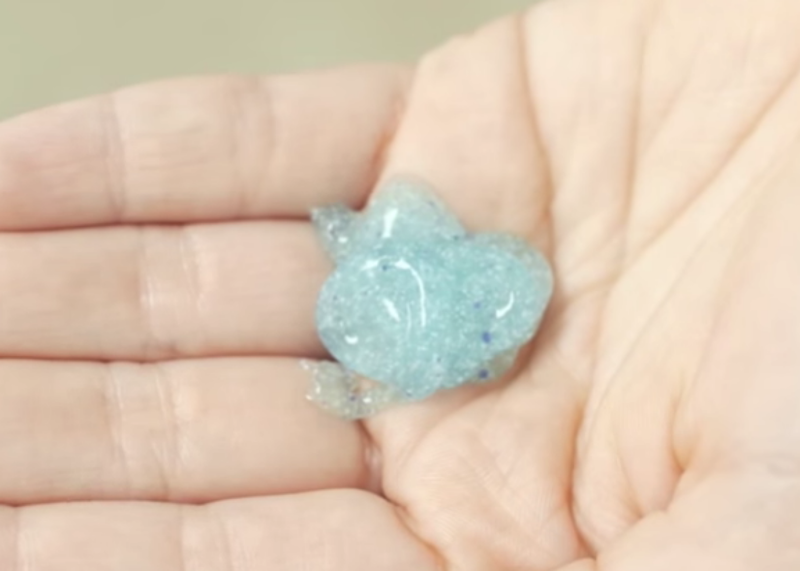 Obama signs law banning plastic microbeads in bath products. Your days are numbered, tiny beads. You know the plastic microbreads in your face and body wash that are meant to exfoliate your skin or some such? Well, their days are numbered. This week, President Obama signed a new law that will ban use of the particles in soaps and toothpaste starting in 2017. Environmental activists have grown increasingly alarmed about the dangers posed by microbeads in recent years as researchers discovered that tons of the tiny plastic bits were making their way into U.S. lakes, rivers, and oceans after washing down drains and passing through the filters in water treatment centers. The concern is that once out in the wild, the pellets absorb toxins such pesticides, then migrate into the food chain after being consumed by fish and other marine organisms that mistake them for eggs or plankton. Those toxins could then, eventually, end up in the fish fillets or sushi on your dinner plate. Perhaps slightly less worrisome but no less disgusting: Some dentists have found beads from toothpaste stuck in their patients’ gums, where they may lure bacteria and potentially cause problems such as gingivitis … which would seem to defeat the point of using toothpaste. The Microbead-Free Waters Act of 2015 sailed through Congress this month with bipartisan support, in part because there was seemingly little opposition from the cosmetics industry. States including California and Illinois had already passed their own bans, and companies, some of which have started ditching the plastic, seemed happy for the feds to step in and set a single nationwide standard. But anyway, we have apparently turned our waterways into a miasma of potentially toxic floating plastic spheres for the sake of scrubbing our faces a little more efficiently at night, or at least scrubbing them more cheaply than if we just bought soap that used a natural exfoliant like apricot seeds. Humans. We do the darndest things.